I braved the traffic at Kenner’s new Pollo Campero location (complete with Kenner’s finest directing traffic in the drive-through line) to sample the grilled and fried chicken, only to discover two side dishes outshining the chicken. 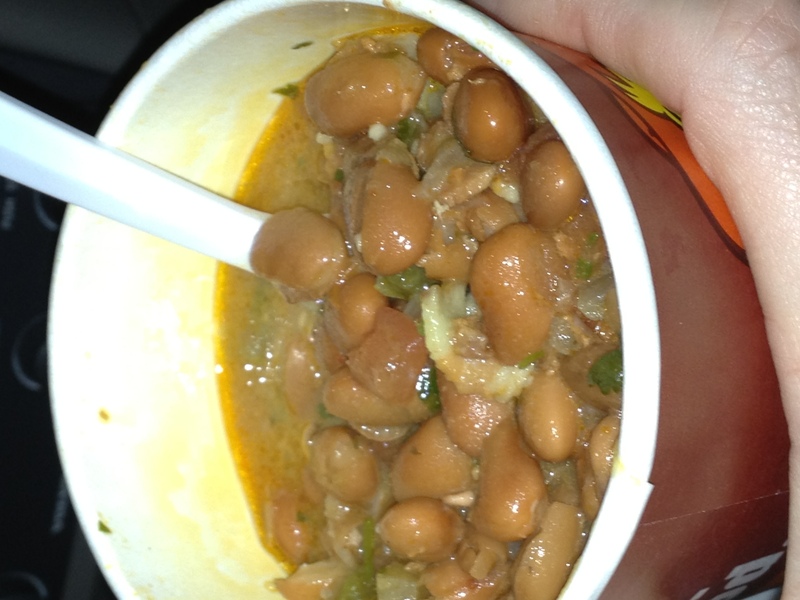 Frijoles Campero consists of pinto beans cooked with lots of bacon and plenty of visible seasonings, including tomatoes, peppers, and onions (and perhaps cilantro, celery, and parsley). This fast-food article is every bit as good as homemade charro beans, in the same way that Popeye’s red beans are as delicious as home cooking. One note: if you do trek to Pollo Campero, be aware that the long queue of cars is a drive-through line. Go around the police-directed lineup, park in the ample parking lot, and go inside for fast service…and definitely try the beans. Was the chicken good, even if the sides were better? Tried the fried and the grilled chicken; both were tasty, but not crazy good. The beans were muy delicioso.